Counterfeiting, fraud, and deceit can occur with all types of currency – even checks. 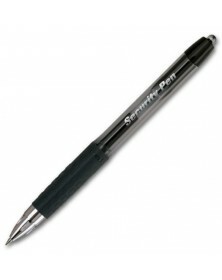 As an affordable and efficient measure to guard against check washing, fraud prevention pens are an effective solution. The pen’s ink binds to the paper’s fibers, essentially becoming part of the check. This way, any attempts a criminal makes to manipulate a stolen check are thwarted! Because more than checks can be altered, fraud prevention pens can secure written information on other types of documents.